“It becomes natural to fight for the things we love”, Matthias J. Goetz – sustainability-focused architect and model for our latest campaign – explains when asked about why he invests time and effort into taking care of the environment. Fol­low­ing our shoot in Barcelona, we had a chat with Matthias and had him share the changes he wish­es to see in the world, his con­tri­bu­tion and what moti­vat­ed him to get start­ed in the first place. How must one pic­ture sus­tain­abil­i­ty-focused archi­tec­ture? How does it dis­tin­guish itself from aver­age architecture? Start­ing with the sec­ond ques­tion, I would like to chal­lenge the term ​“aver­age archi­tec­ture”. When we look at the his­to­ry of archi­tec­ture we will find that for most of the time build­ings were pret­ty sus­tain­able. Back in the day for the most part local build­ing mate­ri­als were used and the main ener­gy source for heat­ing was wood. This was done pri­mar­i­ly out of neces­si­ty, but it also meant that the archi­tec­ture tend­ed to be large­ly sus­tain­able. In the so-called devel­oped world this changed with the dis­cov­ery of fos­sil fuels and the indus­tri­al rev­o­lu­tion a lit­tle more than 200 years ago. Mean­ing that the his­to­ry of non-sus­tain­able build­ings is very young and also has not even reached every cor­ner of the world yet. So prob­a­bly the ​“aver­age archi­tec­ture” for a high per­cent­age of the world’s pop­u­la­tion is still sus­tain­able com­pared to our glass palaces in the west­ern world. Hav­ing said that, I would say that sus­tain­abil­i­ty-focused archi­tec­ture takes into account that some resources on plan­et earth are lim­it­ed or even haz­ardous for us and future gen­er­a­tions. Hence renew­able resources and car­bon neu­tral ener­gy play an impor­tant role in this field. What moti­vat­ed you to go into the field you’re in? For me work­ing in sus­tain­able devel­op­ment makes kind of intu­itive sense. Why would I be inter­est­ed in work­ing in a field that is doomed to fail in the long run? Non-sus­tain­able archi­tec­ture is def­i­nite­ly not the future, as the word itself already implies. Also I like to chal­lenge the way we do things. I have nev­er iden­ti­fied with peo­ple who would say, or think ​“We do it this way, because we have always done it this way.” This approach is way too easy and lacks any sense of inno­va­tion or imag­i­na­tion. Do we want to be heroes in the eyes of our chil­dren and grand­chil­dren or do we want to be remem­bered as the ego­ma­ni­ac gen­er­a­tions that par­tied on plan­et earth as if there was no tomorrow? Final­ly, I would say that my main moti­va­tion is that I love humankind and plan­et earth with all of its diverse flo­ra and fau­na, as cheesy as that might sound. It would be great if our species could stay a lit­tle longer on this pale blue dot spin­ning through space, and pre­serve the things of beau­ty on it. What would you say might’ve been your biggest accom­plish­ment in this field? How have you made your mark? That is a tough one, since I do not tend to look back a lot, in gen­er­al more focus­ing on the marks that I want to make in the future. But on a per­son­al lev­el I would say that my vision helped a few busi­ness plans and ini­tia­tives in the past to kick-off and that my lack of fear to fail helped us inno­vate in some of our archi­tec­tur­al projects in Ger­many and Chile. On a big­ger scale – in terms of impact in the field of sus­tain­abil­i­ty – I’m quite proud of what we have achieved with the Ele­phant Pod­cast over the last two years, where we man­aged to spread cli­mate change aware­ness to an inter­na­tion­al audi­ence through inter­views with lead­ing thinkers, experts, jour­nal­ists and scientists. I also have great hope that our soft­ware project called CAALA, which brings togeth­er archi­tec­tur­al design and para­met­ric life-cycle analy­sis in at a very ear­ly stage, will change the way we will devel­op build­ings in the future. If the soft­ware works out as we envi­sion it, and suc­cess­ful­ly brings life-cycle con­sid­er­a­tions to the first stages of archi­tec­tur­al design, non-sus­tain­able archi­tec­ture will only appear in his­to­ry books in a few decades from now. 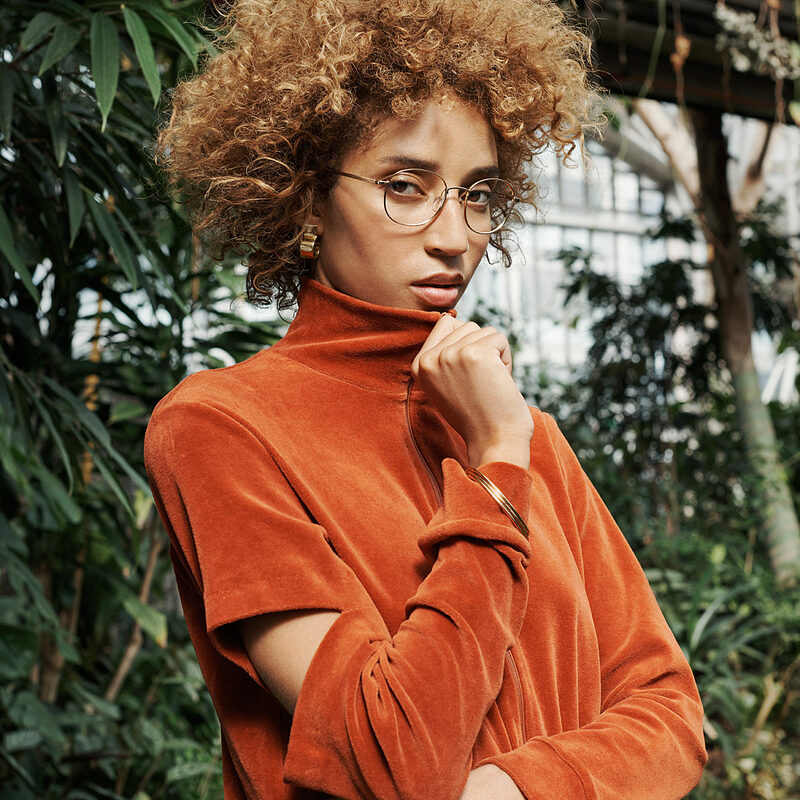 As can be seen on the pages of our look book you’re also a mod­el – what change would you like to see in the fash­ion and beau­ty indus­try when it comes to sustainability? There are actu­al­ly a lot of sim­i­lar­i­ties between the fash­ion and beau­ty indus­try and archi­tec­ture. For instance, cre­at­ing some­thing aes­thet­i­cal appeal­ing is arguably one of the key dri­vers in those fields. When it comes to sus­tain­abil­i­ty in fash­ion I often hear the myth, that you can either have great design or a sus­tain­able prod­uct. This is sim­ply not true and there are count­less exam­ples that prove this state­ment wrong. In fact, with the dis­pos­able cul­ture, and fast fash­ion that dom­i­nates so much of the indus­try at the moment, you could even say the oppo­site is true, lead­ing us to con­sume more and more clothes and acces­sories which sim­ply do not last, and weren’t designed to last. I would like to see peo­ple work­ing in those indus­tries chal­lenge them­selves more, to look at the whole life-cycle of their prod­ucts and add sus­tain­abil­i­ty as a basic para­me­ter. If it is pos­si­ble for this gen­er­a­tion to accept tough chal­lenges in phys­i­cal work­outs and clean eat­ing, it should sure­ly be pos­si­ble to set the bars high­er in our pro­fes­sion­al lives as well. Also it would be great if we could move back from quan­ti­ty to qual­i­ty. Less is more. 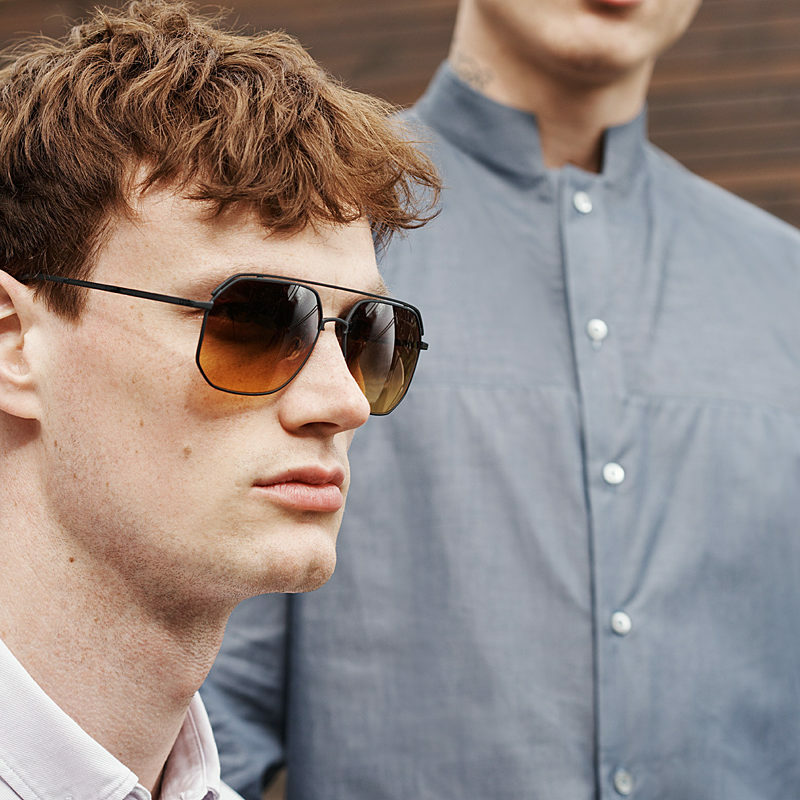 In many ways, neubau eye­wear is about com­bin­ing con­scious­ness and style. Where would you say does this shim­mer through with­in this cam­paign and the brand as a whole? So, in your opin­ion, where and how does neubau suc­ceed in terms of sustainability? I believe the best part about the con­scious­ness cam­paign of neubau eye­wear is that the sus­tain­abil­i­ty top­ic is actu­al­ly not obvi­ous­ly shim­mer­ing through when you look at the prod­uct. When I saw glass­es designed by neubau eye­wear for the first time, it was the style and qual­i­ty that caught my atten­tion. I was actu­al­ly not aware that sus­tain­abil­i­ty was a dri­ving fac­tor behind the prod­uct. This is the def­i­n­i­tion of suc­cess for me, when you can still focus on what you are best at – design­ing great glass­es in this case – while fol­low­ing a holis­tic sus­tain­able approach. What are your favorite places in Spain — archi­tec­ture-wise — and why? That was a big coin­ci­dence dur­ing the neubau eye­wear cam­paign shoot­ing at the Caix­aFo­rum Barcelona. My favorite spot is right next to it, the Barcelona pavil­ion by Mies van der Rohe. I vis­it the pavil­ion sev­er­al times a year and I always leave inspired and moti­vat­ed to become a bet­ter architect. I would also say that Barcelona in gen­er­al is my favorite city in Spain, because it is such a col­or­ful and play­ful place, with the spir­it of Gau­di around every cor­ner. Maybe it is because my wife is from here, but it real­ly feels like a gen­er­al­ly pos­i­tive place to me. For archi­tec­tur­al lovers com­ing to Barcelona I would also rec­om­mend to look at the works of Bofill and RCR Arqui­tectes, but there are many more things to discover. Where would you like to go? What country/​city/​building would you like to visit/​see in person? There are too many places and build­ings, which I would like to vis­it to name them all. Gen­er­al­ly speak­ing I’m inter­est­ed in places where I’m not famil­iar with the local cul­ture yet. Dif­fer­ent approach­es to life often lead to dif­fer­ent approach­es in design and archi­tec­ture and I find that to be quite fascinating. I’m think­ing about places like Astana (Kaza­khstan), Teheran (Iran) or Detroit (USA) to just give a few examples. Accord­ing to your résumé, one might say you’re gen­er­al­ly con­cerned about envi­ron­men­tal issues — where does that stir from? I believe that it was the influ­ence of my par­ents and their pas­sions which set me on this track of car­ing for our envi­ron­ment. My moth­er is a biol­o­gist and my father is a chem­i­cal engi­neer who actu­al­ly also orig­i­nal­ly want­ed to become a biol­o­gist. When I was lit­tle we would walk in nature togeth­er and they would always take the time to explain to me how the dif­fer­ent plants and ani­mals are depen­dent on each oth­er, while also mak­ing me aware of which actions could poten­tial­ly harm our ecosystems. Nature felt like a big theme park to me and I was espe­cial­ly fas­ci­nat­ed by the trans­for­ma­tion of cater­pil­lars into but­ter­flies – a fas­ci­na­tion that remains with me up to the present day. I guess it comes nat­ur­al to fight for things that you love. At the same time I have to admit that I nev­er man­aged to be real­ly rad­i­cal in lead­ing a sus­tain­able lifestyle. There are still tons of things that I could change about my own life that would ben­e­fit the envi­ron­ment, start­ing with fly­ing less for exam­ple. I’m try­ing hard to lead a more sus­tain­able life, but I do not want to sell myself as the green knight here. Are there sus­tain­abil­i­ty-engaged peo­ple or brands you look up to or feel inspired by? In our Ele­phant Pod­cast we spoke to quite a num­ber of peo­ple that I tru­ly look up to, like Nao­mi Klein, Bill McK­ibben and Alan Rus­bridger. It’s encour­ag­ing because in almost every field you will find an inspir­ing sus­tain­abil­i­ty-engaged per­son, because it tru­ly is a top­ic that knows no bor­ders. We also spoke to Green­peace activists and NASA astro­nauts and sci­en­tists that all had excit­ing sto­ries to tell. I would encour­age inter­est­ed read­ers to fol­low our pod­cast as it fea­tures inter­views with a whole bunch of inspir­ing sus­tain­abil­i­ty-engaged peo­ple from a diverse range of backgrounds. When it comes to brands the first name that comes to my mind is PATAG­O­NIA. I was real­ly impressed by their approach to encour­age their clients to repair old gear instead of buy­ing some­thing new. They seem to ask them­selves the right ques­tions and their prod­ucts are still great and meant to last. I’ve trav­elled with one of their water­proof bags for many years. If you’re not at work or mod­el­ing, what do you like to do in your spare time? There are so many things that it would be ridicu­lous to name them all, espe­cial­ly because every year I find some­thing new that excites me. Last year I ded­i­cat­ed my week­ends to a glid­ing club ​“Akaflieg Berlin”, because I always dreamed of becom­ing a pilot and glid­ing is quite a sus­tain­able way to get up in the air. Here in Huesca my pos­si­bil­i­ties are lim­it­ed com­pared to Berlin and I’m going back to my roots. I was just accept­ed by a local bas­ket­ball club ​“Juven­tud Osca” and I’m work­ing out hard to keep up with the play­ers who are 8 – 10 years younger than me. On the week­ends my wife and I are most­ly going hik­ing in the Pyre­nees. It is a small town life we are liv­ing here. Where do you see your­self and the world 10 years from now? I envi­sion a sce­nario where in 10 years from now, the first super­hu­man AI will be pre­sent­ed to the world. One of the first advices the super­hu­man AI will have for us will be to not destroy our own habi­tat, which will come as a sur­prise for many. Nev­er­the­less, humankind will fol­low the advice, since it is not a human being study­ing this field for decades telling us to take care of our plan­et, but some­thing super­nat­ur­al that can fore­see things we could just nev­er under­stand (per­haps because we are too invest­ed in the status-quo). As for me, it’s hard to say foresure if archi­tects are still need­ed when super­hu­man AIs are around, but I hope that I’ll be con­tin­u­ing to be enjoy­ing life, spend­ing it with the peo­ple I love, and in my pro­fes­sion­al life doing my best in any small ways I can, to con­tribute pos­i­tive­ly to soci­ety, sus­tain­able archi­tec­ture, and the man­ner in which we live in the planet.